See the official FDA recall notices here, here, and here. For once, it seems, the FDA is actually doing its job! As Natural News readers know very well, I've been warning consumers for years about lead in turmeric. Any person consuming turmeric products without knowing their lead test results is no doubt eating huge quantities of a dangerous heavy metal linked to brain damage, bone disorders and heart damage. 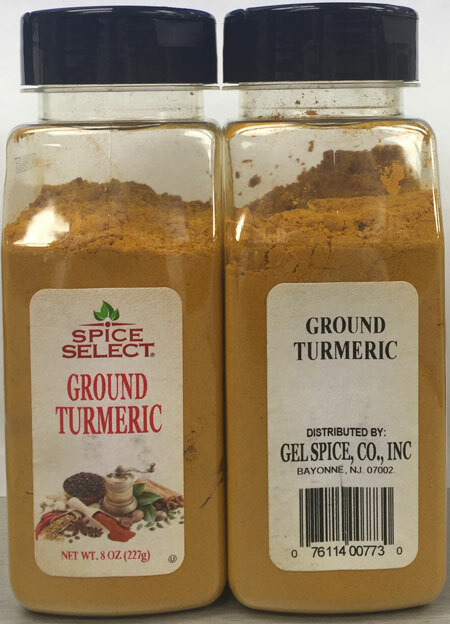 Lead is notoriously common in turmeric powders and turmeric products because turmeric is usually grown in high-lead soils in India, then imported into the United States. "Lead can accumulate in the body over time," warns one FDA recall page. "Too much can cause health problems, including delayed mental and physical development and learning deficiencies. Pregnant women, infants and young children especially should avoid exposure to lead. People concerned about blood lead levels should contact their physician or health clinic to ask about testing." To my best knowledge, we are the only health product manufacturer and retailer in the world that tests everything we make and sell for heavy metals. See HealthRangerStore.com for our product line, which includes this popular turmeric extract liquid. We currently reject about 80% of raw materials batches due to high lead content, accepting only 20% for production use. I personally oversee all the laboratory testing for heavy metals, which is conducted via ICP-MS instrumentation at my ISO-17025 accredited laboratory, CWClabs.com. There, every raw material we use is tested for lead, mercury, arsenic, cadmium, copper and over a dozen other elements. This is what allows us to reject high lead materials from ingredient suppliers. 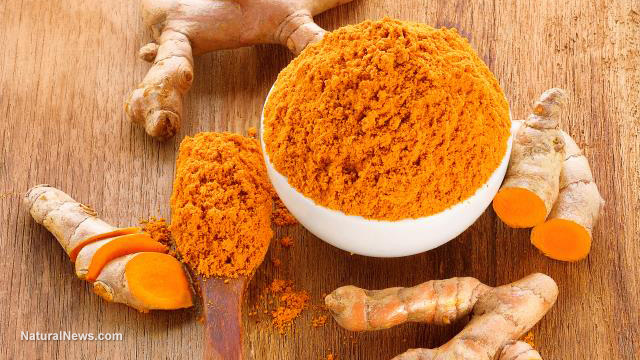 Interestingly, all the lots we reject as being TOO TOXIC are purchased by some other turmeric manufacturer who sells their own toxic products to an unsuspecting public. Lead-contaminated products are sold right now at Amazon.com, Whole Foods and just about everywhere. The FDA spot checks food and supplement manufacturers across America, visiting their facilities and taking samples of their products for testing via ICP-OES or ICP-MS. Yet, shockingly, the FDA still refuses to tell the public how much lead is required to trigger a recall. Sadly, the FDA still has never published any lead limit information for foods, beverages or dietary supplements. (Only children's candy has an established lead limit.) This means that it is perfectly legal for food and spice manufacturers to sell products containing insanely toxic levels of all sorts of heavy metals. Many of these are even labeled ORGANIC as I've documented in my book Food Forensics. For example, organic rice protein products sold in the United States right now continue to be heavily contaminated with cadmium and lead. 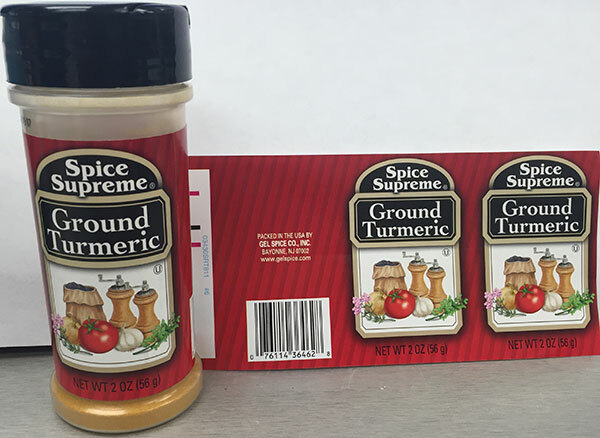 Root spices such as turmeric and ginger are also routinely contaminated with not only toxic heavy metals, but extremely high bacteria counts as well (due to soil microbes, which technically may not be very dangerous compared to something like E.coli). The surprising truth is that the FDA is far behind food safety standards that exist in European countries or even Canada, for that matter. For some reason, the FDA has never established heavy metals limits for food, beverages, spices and supplements sold in the United States. And because of that, dishonest, fraudulent retailers like Whole Foods are free to keep selling toxic products that contribute toxic loads to their unsuspecting customers. Now, at least, the FDA has essentially confirmed that my warning about lead in turmeric was right on the money. To my knowledge, my laboratory is the only ISO-accredited private laboratory in the world that's openly publishing off-the-shelf food composition analysis results in the interests of public safety. And that's just sad, because this is the job the FDA should have been doing in the first place. See my science journal NaturalScienceJournal.org for nationwide water testing results that also show the mass lead contamination of municipal water supplies. If you want CLEAN turmeric products that have been tested for heavy metals, my online store offers Organic Turmeric Root Powder, our Turmeric Gold Liquid Extract and this innovative Organic Golden Turmeric Paste Kit that combines turmeric with black pepper and coconut oil for enhanced absorption. I openly invite anyone -- including the FDA -- to test all these products for lead, cadmium and every other element known to modern science. You won't find toxic concentrations of these items in anything we sell.